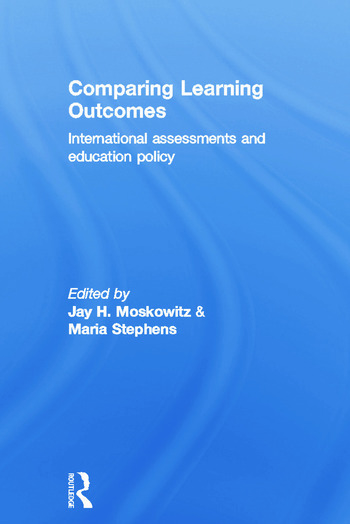 Comparing Learning Outcomes provides an insider's look at the policy and practical issues in conducting and using the information from international assessments of education and is a key resource for researchers and policymakers in education. * Technical considerations in analysing and using assessment data. Reflecting the increasing involvement of policy makers in the field of international education assessment Comparing Learning Outcomes brings together the collaborative research of professionals in 11 countries working on a project for the OECD (Organisation for Economic Cooperation and Development), gathering cross-national, comparative information on education for use for governments. Maria Stephens is a research analyst at the American Institutes for Research. Jay Moskowitz is the Vice-President and Director of the Education and Human Development Program at the American Institutes for Research.